This month the youth are going to the movies! Please join us Sunday April 7th as we go to watch the new hit movie Noah. 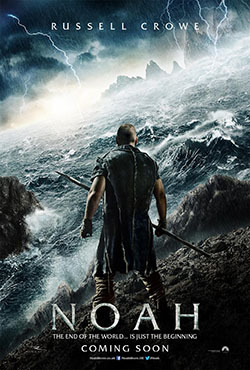 Noah is one of the most popular Bible stories every told. The youth will watch Hollywood’s version of the story and then discuss God’s version of the story. Please bring a friend and enjoy fun and fellowship. We look forward to seeing you there! Talk to Vicar at church and find out what time we are meeting to go to the movie.